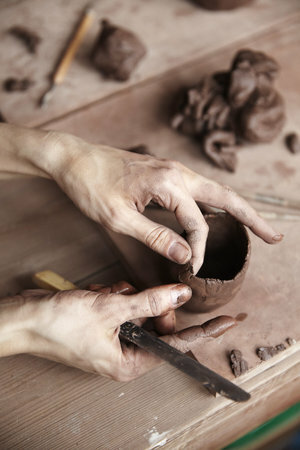 Kana Clay Parlour is an opportunity to learn the ropes of working with clay in the Kana style. It is a relaxed and friendly setting with a small group of people and plenty of one-on-one as well as group teaching. All the workshops are suitable for complete beginners, or for those who have experimented with clay before, even those who have already taken one of our courses and wish to further their project. Learn more about the available workshops below. For people who would like to learn the process from start to finish. You will make and glaze your own piece. session 2: is focusing on your main project , one or two bigger items as your main project, I help you / guide you through, we choose suitable technique and make sure you make your dream object. Once they are fired - we arrange a date for pick up. New dates to be announced soon. Alternatively, book onto our Kana Clay Parlour x 26 Grains workshop.